Vietnam is known for its diverse culture and fun-loving people. Divided into three distinct regions, this long strip of country is a goldmine of stories and traditions. 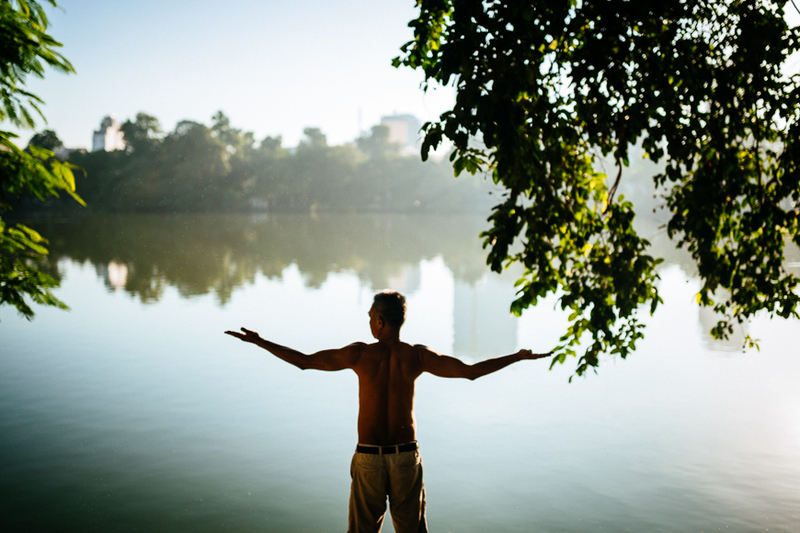 If you’re coming to Vietnam for the first time, a basic knowledge of the local customs can help you engage with the people you’ll meet in a friendly, positive way. Here are eight top tips to get you started. The idea of “saving face” has long been an important part of life in Vietnam. Most Vietnamese will avoid public displays of anything that could compromise their reputation. As a general rule, keep your cool and avoid loud arguments, berating others for mistakes, or pointing out anything that may cause the locals to feel shamed. TIP: Vietnamese dislike public displays of affection, and men and women often do not touch in front of others. Try to respect the local sentiment by keeping affectionate acts to a minimum when in public. In Vietnamese cities, there’s an appreciation of modern fashion and revealing clothes are worn by many young people. Outside the urban centres, most Vietnamese are quite traditional and modest. Visible undergarments, sheer fabrics and skimpy attire will not endear you to your Vietnamese hosts and acquaintances. Observing the locals where you are staying will give you a good idea of what is acceptable in terms of clothing and coverage. Foreigners should note that men should not be seen shirtless in public, and swimwear is welcome only on the beach or in your resort. When you enter someone’s house, take your shoes off just outside the door. 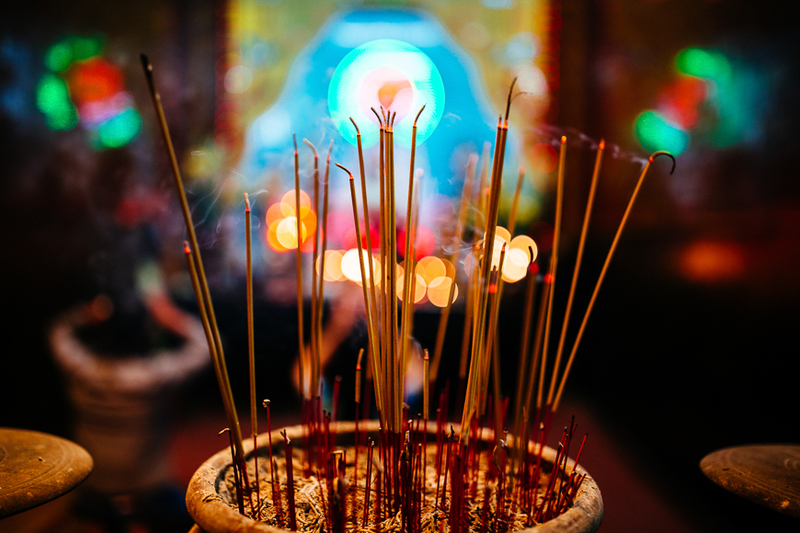 Vietnamese families keep altars in their shops and homes, including some at ground level: Don’t step over these ground altars or walk around directly in front of them. When visiting temples, wear modest clothing and always remove your shoes and hat. You can carry shoes with you, but just don't wear them on your feet. TIP: When visiting a family home, bring a box of biscuits or cake, fruit, flowers or soft drinks as a gift -- never bring anything black. Greet the older members of a family first, shake hands with your right hand and offer plenty of smiles to everyone! There are so many beautiful photo opportunities in Vietnam and most people will be fine with you taking their photo, but respect their privacy and always ask before you lift up your camera. Taking photos this way offers the same level of respect to your subjects as you would apply to yourself, and it can be a unique and fascinating opportunity to learn a bit about someone’s life. 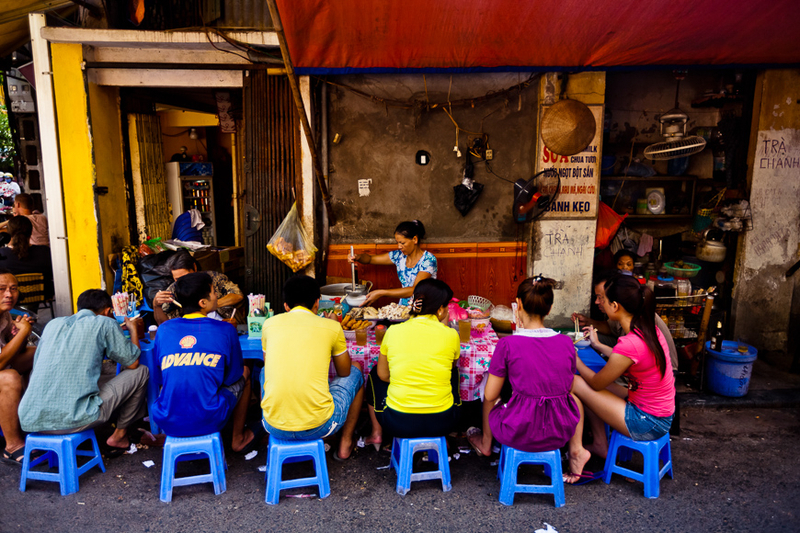 Mealtimes in Vietnam are all about sharing. Most meals are laid out as an assortment of shared dishes, with small rice bowls and chopsticks for each diner. Pass dishes at the table with both hands or your right hand (not the left) and hold your spoon in your left hand if you’re eating soup. It is considered good hospitality for a host to offer you food, refill your glass and put the best bits of a dish into your bowl. If you want to stop eating, simply repeat politely that you’re very full. In most social gatherings the person who made the invitation is the one who pays the bill. Otherwise, the most senior person is the one who pays. TIP: Tipping in Vietnam is more common among tour guides and in spas, but less so in restaurants. If you feel the service warrants a tip, feel free, but you are under no obligation to tip in Vietnam. In Vietnam, people rarely say the words “excuse me”. Instead, they simply say “hey you!” but using different versions of “you” to indicate respect. For a male or female younger than you - Em ơi (em oi). Em means “younger sibling." For a woman a bit older than you - Chị ơi (chi oi). Chị means “older sister." For a woman old enough to be your aunt - Cô ơi (goh oi). For a man old enough to be your uncle - Chú ơi (choo oi). For a woman old enough to be your grandmother - Bà ơi (ba oi). For a man who is old enough to be your grandfather - Ông ơi (om oi). While the middle finger is not traditionally an offensive digit in Vietnam, the typical “fingers crossed” gesture that many people from the West make to indicate that they are hoping for the best is highly impolite. If you hope for good luck, keep your fingers out of it! It’s also a good idea to avoid pointing at people or patting people on the back or head, particularly if they are older than you. When you pass something along, use your right hand or both of your hands, rather than just one hand or your left hand. Vietnamese are fun-loving people, however they are also very proud of their deep-rooted traditions and hardworking ethics. Some Vietnamese can be wary of foreigners, who may overstep without realising the complicated cultural undercurrents behind a situation. 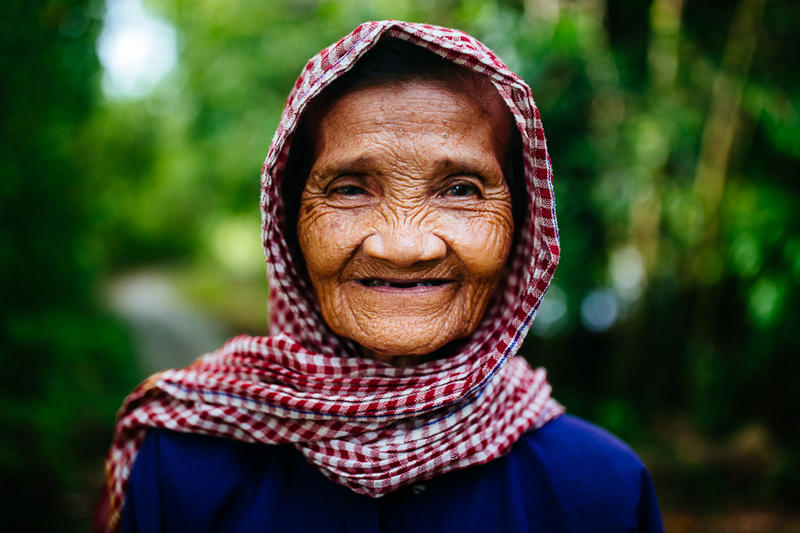 A smile can go a long way in Vietnam, especially when language fails. A simple hello (xin chào) or thank you (cảm ơn) communicates your goodwill and will usually earn a smile from the Vietnamese.